Find out about the community. Get details on real estate in Avery Ranch, including neighborhoods, Avery Ranch homes for sale, golf amenities and more, with our unique, lifestyle-based map search. Contact an area expert at Farrington Realty for more info. 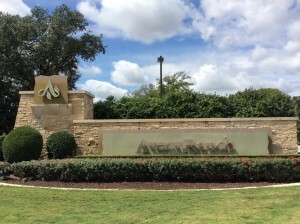 Avery Ranch consists of an exclusive community and widely popular home market for real estate in Austin, Texas. The community occupies a premier location of about 1,800 acres, off Parmer Lane. It includes a world class golf course at Avery Ranch Golf Club and features newer, luxury homes built after the turn of the century. Real estate in Avery Ranch consists of carefully implemented master-planning found in beautifully aligned neighborhoods and a variety of custom home styles. Real estate encompasses, parks, play areas, trails, green spaces and preserves. It includes numerous homes backed up to lush golf course greens and homes with an abundance of luxury extras. The Avery Ranch Golf Club defines a new level of the golf experience in its many features and especially unique golf course grounds. In the Texas Hill Country, the golf course comes blended beautifully with its natural surroundings. These include limestone caverns, plenty of mature oak trees, a graceful, rolling landscape. They include idyllic water features like streams and lakes. The golf club garners wide popularity and receives accolades consistently. For example, it was rated with almost 5 stars and among “Best Places to Play” by Golf Digest. Real estate in Avery Ranch receives plenty of attention and accolades all its own. It provides residents with an array of gracious living and community amenities. When it comes to gracious living, homes come tailor-made with every age group and family size in mind. When it comes to public amenities, every gets to enjoy the 60-acre, Avery Lake, pools, sports courts and community centers. Avery Ranch homes for sale come brimming with quality craftsmanship, curb and price appeal. They offer a high level of livability amid many luxury appointments, safe, family-friendly neighborhoods and quality of life. They include the added benefit of being located within two, top-rated educational systems, Round Rock School District and Leander School District. Parents with growing children should be especially pleased about the excellent schools. Anyone interested in available homes can find them starting at around $200k. They can find real estate in Avery Ranch that puts them in a world apart, yet close to every convenience, job center and attraction in Austin. Speaking of convenience, getting around comes easy with proximity to 183, 620 and 45 Toll Road. Shopping, dining and entertainment hubs also appear close by with hubs like Lakeline Mall, the Round Rock Outlet Mall and Waterloo Ice House. Find out more.